This just in via Techmeme: Microsoft wants to bribe the US Government to let them hire 6,000 immigrants. We’ll take the $10,000 per Visa plus another $15,000 for the Green Card, but you will have to pay for all of that with after-tax repatriated dollars. In other words, use all those dollars you’ve squirreled away via offshore tax schemes to pay for it. Of course I’d start out asking them to repatriate 2x the amount needed and negotiate from there. In fact, I think maybe I’d be pretty firm on that 2X repatriation number. Microsoft wouldn’t have publicized this offer if it wasn’t a screaming deal for them. In the grand scheme of Microsoft profits and Government deficits, this deal is still mouse nuts. My day job involves running a company that makes Manufacturing Software called CNCCookbook. It’s a bootstrapped company that I built from scratch–software, marketing, content–the whole ball of wax. It’s been great fun and is starting to pay the bills as well. I’ll be telling the full story of what I’ve learned over time, but right now I want to talk about the revolution in Desktop Manufacturing. I’m not sure I’ve heard it called that, there are many other names such as the Maker Movement, but I’m an old Enterprise Software guy and Desktop Manufacturing just sounds right to me. If not Desktop Manufacturing, then Personal Manufacturing. This market is going to follow a curve that is the same shape as curves we’ve seen before when we put technologies into people’s hands that were previously only available to large corporations. We did it with Personal Computers. We did it with the Printing Press. Video, Music, Book Publishing now via eBooks: there is a long list. The difference is that until now it has mostly been about giving people the ability to create and publish information. Information meaning streams of 1’s and 0’s that when properly interpreted, become eBooks, music, photographs, and so forth. 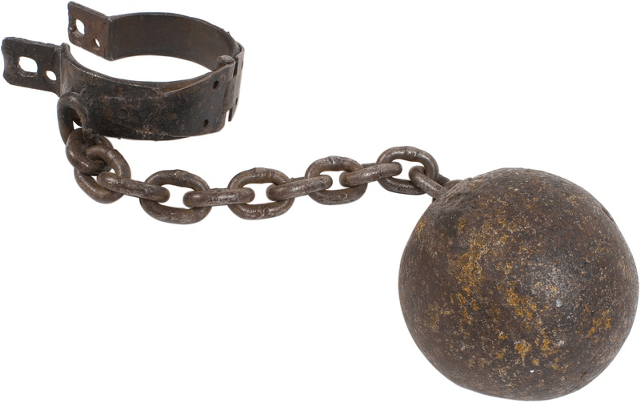 What’s different this time around is we’re giving people the ability to produce concrete substance, material goods, things that can be touched and held. That’s a big step up from information in terms of how it may affect the world. It’s a revolution that’s been a long time in coming because it has been much harder to accomplish. We’re still not done yet, either. This is unfolding as we speak, and we won’t see the full ramifications for probably 10 years. Because we’re dealing with matter and not information, I suspect there will be more friction and therefore the evolutionary impact of it all will simply take longer. But, along the way, it will make for a marvelous ride. The parts are all plastic with this technology, and they have a maximum size that fits in about a 5″ square cube. In another parallel to the original PC days, it costs about the same: $2699 will get you one. There are other 3D printing technologies available that can be cheaper, print larger objects, use less expensive resins (or other raw material), and have various other trade offs. But the bottom line is you can get an idea, draw it up in a CAD program, run that through the 3D printing software, push a button, and not nearly as quickly as Piccard can get his, “Tea, Earl Grey, hot”, you’ll be holding an object that is your idea. There are parallels to nearly every aspect of the PC infrastructure. For example, the SaaS/Cloud movement will happen via Service Bureaus where you can design a part online, push a button to send the specification to a Service Bureau, and the part will be mailed to you. Or, perhaps you’ll just roll down to the local Kinko’s where they have a 3D printer. Maybe they have an expensive industrial-quality printer that does larger objects out of tougher materials more quickly than your home model. As the Altair 8800 genre gets underway, who will do the IBM PC? Autodesk is making a few noises along these lines, at least where software is concerned. Who will play Apple’s role? Who will be the Microsoft that owns the software? We already have Open Source playing a vibrant part in the ecosystem, and controversy over one company that is backing away from Open Source. And there are many more technologies too. 3D printing is great for plastic, but you can shape wood with a CNC Router, and metal with CNC Mills and Lathes. It’s all cheap enough for the desktop these days. It’s facinating to see this movement unfolding. I don’t know how big it will turn out to be, but I know it will be big and I’m really glad to be working in the space with CNCCookbook. If you’d like to learn more about 3D printers, check out my Hi Res 3D Printer page over on the ‘Cookbook. If you’d like to survey what’s possible, go through some of the CNCCookbook blog. Try some of the categories like “Cool” or “Beginner” on the blog. If you wonder what the power of it all could be, consider that Form 1’s Kickstarter project went up almost $100,000 just in the time I spent writing this article. Ask yourself what would happen if anyone with an idea and an inexpensive Desktop Manufacturing machine could make any of these things any time they wanted to. I just saw the announcement that Google is backing away from support older Microsoft Office file formats. In many ways, this is a non-event. It only affects people that use both pre-2003 Microsoft Office and Google Apps. On the other hand, it is symptomatic of why Google doesn’t take a lot more share away from Microsoft Office–they don’t understand compatibility and the user behavior patterns associated with switching core products that have persistent data formats. Compatibility is an all-or-nothing prospect. If you’re trying to take a powerful incumbent out, you have to make the transition frictionless. Not being able to load a file is about as much friction as you can ever hope to see. Having it load imperfectly so you have to manually deal with the differences is almost as bad. I’ve written about this problem before. It isn’t that hard to build a product that’s 100% compatible with Microsoft Office. It’s been done before by companies a lot less successful than Google and Microsoft moves so slowly it’s not like it is a moving target they’re shooting at. The mystery to me is why Google doesn’t just buckle down and get it done. Probably a typical Big Company Fail: Google Apps doesn’t have the priority to ramp up but they don’t want to cancel it or they’re just too arrogant to see their problem and think this will force a big wave of adoption of Google Apps. More likely it’ll just force more people to buy later versions of Office, or sign up for the relatively inexpensive new Microsoft subscription service. You Can’t Do Cr*p with a $750K Seed Round in Enterprise SaaS, So Don’t Even Try. Hat tip to Jason Lemkin for sharing an article with a similar sub-title with me this morning. This won’t change any time soon because aside from the addictions I mention, the awful truth is, most VC’s don’t really understand that you can’t do cr*p with a $750K Seed Round. They bought the magic bullet theory, and they’ve done enough deals since that depended on that theory that it has become gospel. Repeat after me, “Yes, you can build anything with Ruby on Rails and 3 guys eating Ramen noodles in 6 months.” VC’s are not dummies–you probably can build any consumer Internet product that way if you’re content with hundreds of Pinterests, Twitters, and whatever else. But you can’t build much in the way of Enterprise software or SaaS software. What changed is not so much the productivity of the technology as where the VC’s had set their sights. If we only invest in deals that can be built by three guys using Ruby on Rails in 6 months, pretty soon we will have a monoculture consisting only of such deals. Enterprise Software can be built without VC, but what results is often not VC-able for a variety of reasons, and it may not be something universally regarded as Enterprisey. You’re not going to create a Workday, Salesforce, or Oracle this way. What you can create is a niche product, and probably one that’s aimed at small businesses and workgroups, a customer segment the VC’s have historically hated. If you’re smart, work hard, and really lucky, you might build something like 37Signals has. Is that Enterprise? I dunno. It is certainly business software though. 1. No sales force. They cost too much and you can’t afford the long sales cycles. 6 months is too long when you’re eating Ramen noodles. Find something with a 6 week cycle. 2. No expensive advertising-based marketing. Do some content-driven marketing augmented with a little social media. You’ll probably use a free trial or maybe even a freemium to get folks to try your stuff. 3. Stick to a niche. Find an itch that nobody else is scratching. Take great delight in the idea that your niche will never harbor a billion dollar VC-funded behemoth. Hopefully that makes the niche a meritocracy where all you have to do is be smarter and work harder. It better be, because that’s all you’ve got. 4. Charge for your product. No ad-driven pipe dreams. Somewhere I read an article that the average ad-driven business need 100x as many customers as a business that charges for the same product. You don’t have the time, capital, or energy to find 100x as many customers. 5. Shoot for small businesses and workgroups. Steer clear of anything that needs IT or CIO approval. In fact, steer clear of anything that needs more than one person and their credit card to make it happen. You’ve got no salespeople and no time for anything else. You’re not going to build that giant raft of features on the checklist the CIO has been adding to her entire career. Move on, find the deal the Droids are looking for. 6. Target passion. You will need word of mouth. If people aren’t passionate about whatever it is you intend to build, they won’t spread the word. People are not passionate about paper clips or toilet paper. They are extremely passionate about digital cameras and photography. If you can’t find an online community anywhere that is a perfect match for your audience, maybe it’s because people aren’t passionate enough to talk about it. If you can find some decent online communities, plug in and see if you can connect before you ever try to build a product. 7. Do Something Different. You’re not there to do something just a little better or a little cheaper. Tear up the original game plan. Focus on the problem it solved not on how it solved it. Reinvent and re-imagine a product for your market the way 37Signals did for project management. This is another way to get noticed and talked about. It’s another way to stay off the radar of the Big Boys. They’ll dismiss you as having missed the point. But some part of the market, some interesting niche, may decide that the mainstream missed the point and you’ve got the better mousetrap. 8. Do Something Fun. Why not? You’ll be working hard at it for a long time. If it’s fun, it’s energizing–you’ll crave doing it. If it’s fun, others are probably passionate about it. If it’s fun, maybe you can get some help despite the Ramen diet. Long time no blog. Sorry, I’ve been bootstrapping a company of my own lately. It’s working out extremely well, and I wonder why I didn’t do it a lot sooner. I based it on those 8 principles above, as well as a few other things. I’ve learned a lot about Bootstrapping along the way, and I’ll try to be a little better about posting to Smoothspan so I can share some of it. 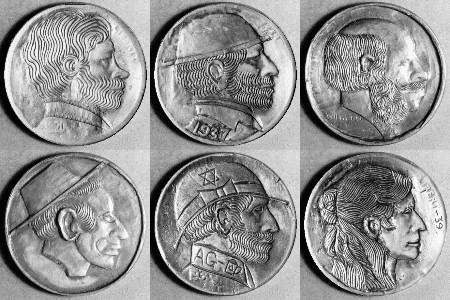 PS The photo shows hobo nickels, an obscure artform that involves carving or engraving a new image on one side of a nickel. I like to imagine the Ramen-eating bootstrappers as hobos hopping digital freight trains to try to get to wherever they’re dreaming of being.